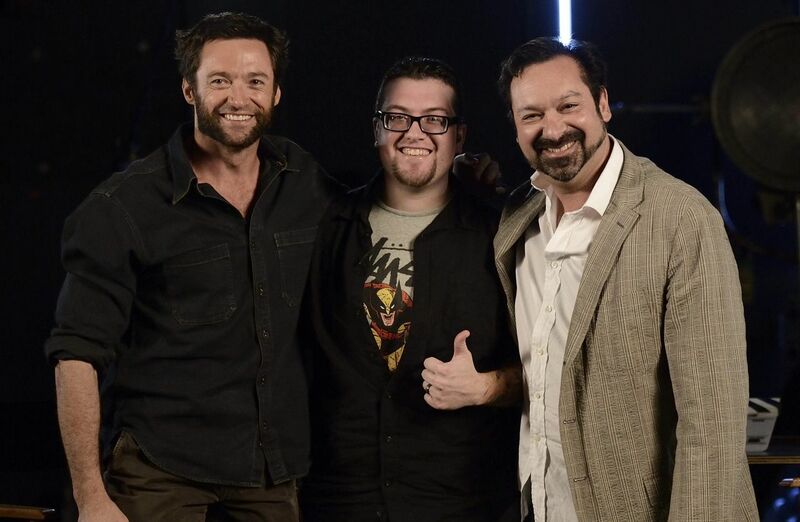 Star Hugh Jackman and director James Mangold participated in a fan Q&A for The Wolverine today. The duo fielded questions from Wolverine fans all around the world and talked at length about their vision for the film, what fans can expect to see on screen, as well as some of the behind-the-scenes preparation Jackman underwent for this movie. The movie is still in production and Mangold comments that there are still some major pieces to shoot, but they had plenty to talk about! 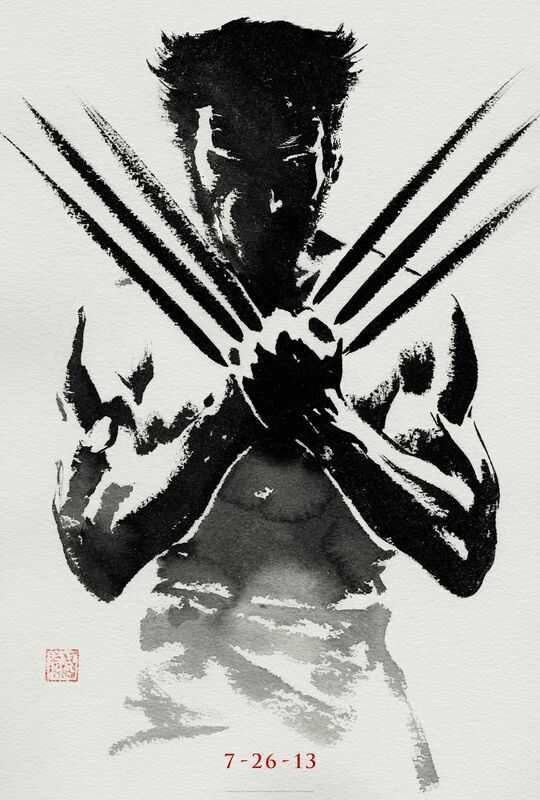 The Wolverine, also starring Will Yun Lee, Hiroyuki Sanada, Brian Tee, Rila Fukushima, Tao Okamoto and Svetlana Khodchenkova, opens July 26th, 2013. Hit the jump for the video, quotes from the Q&A and a brand new official poster! The Wolverine takes place after the events of the other X-Men movies, finding Logan alone and isolated, but the film also exists in its own world. Jackman and Mangold want to make this Wolverine the most rage-fueled character you’ve ever seen. The Wolverine also takes Logan out of his comfort zone and drops in him Japan, subjecting him to a clash of cultures and the uncertainty of knowing whether or not he can trust the new people around him. This version of Wolverine will be more grounded in his physicality, less focused on over-the-top superpowers and will challenge him with a weakness that his enemies attempt to exploit. Wolverine will face a number of enemies, but continues to battle within himself, grappling with the loss of everyone he’s ever known and the burden of living forever. 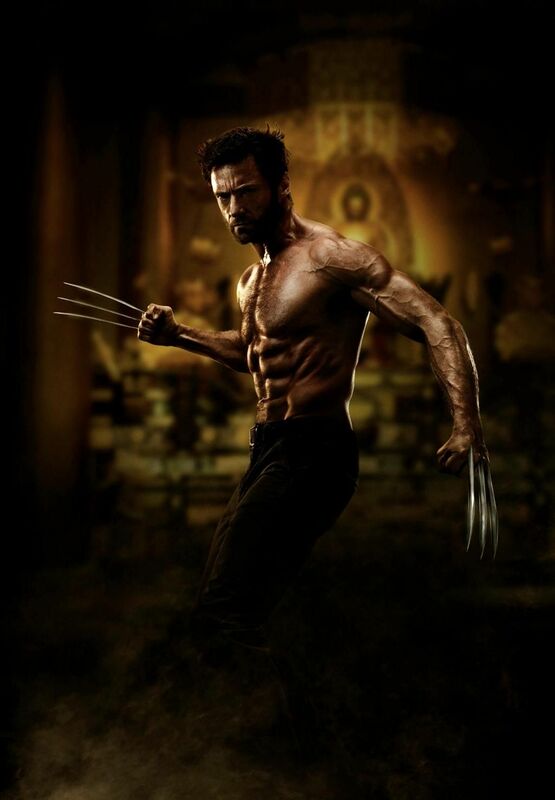 Additionally, we’ve heard that The Wolverine will be getting a 3D release. The transcript of the Q&A follows beneath this new poster from The Wolverine. Q: Where does this story fit into the X-Men timeline? James Mangold: This film situates itself after the three X-Men movies that exist and finds Logan at a point when the X-Men are gone, Jean Grey is gone, a lot of the ties he had to the world are gone. It was very important to me, I wanted to place this movie in a story where Hugh and I could allow it to create its own world. Not having to answer to another movie or hand-off to another movie, that we could kind of do what we wanted to do and take him where we were going to take him. I also think it’s a really interesting place to find Logan, which is at this moment when almost every intimate connection he’s had to the world is destroyed or broken. Hugh Jackman: He’s definitely at his lowest point at the beginning of this movie. You’ll see him more vulnerable than you’ve ever seen him before. So it’s a fantastic place to start and having Jim there has been amazing. We worked together before on Kate & Leopold, but he pushes me, probably like no one else does. It’s been good. Mangold: We have a lot of fun. For me, making a lot of dramas…on one side it’s a different sort of challenge, and on the other, it’s not a challenge at all, meaning that my goal is to try and bring the realism and acting you might find in a straight drama with the intentions and conflict, where it doesn’t feel tongue-in-cheek, but rather committed and real. Q: How did you grow that awesome facial hair? Q: If you could have any mutant power, which one would you pick? Jackman: Definitely teleporting for me. Obviously, the amount we travel around, the ability to be *bang* anywhere would be fantastic. Jackman: I can’t even read reviews, let alone know what people are really thinking. Q: What new life does The Wolverine bring to the character? Jackman: I never thought I’d be playing one character for this long, but I have to admit, from X-Men, my secret dream was to always shoot this particular arc of Logan’s story. From a very popular comic book arc, a samurai story set in Japan…Logan comes into it very much the tragic hero. As we’ve said, at the beginning of this movie, all the people that meant anything to him are gone. A lot of which he blames on himself. The movie’s called The Wolverine, and what Jim and I talked about, we really wanted this movie to actually, better than ever before, encapsulate that character. Forgetting all the others, whatever happens afterwards, this movie needed to be the one where you finish watching it and go, “Right. I got that character.” In every way: physically, emotionally, I had to go further. You have to see him lower, more desperate, more at stake than ever before. Mangold: And more rage. I think the thing I want to see, for those who are fans of the comic, one of the aspects that is so huge for this character is his rage, anger. I think that for me, there was a lot of research and thinking about how to find that and tap into it, and also set up the story in a way…The Outlaw Josey Wales, was something I thought about a lot as I set out on this movie. It’s a phenomenal film in which Clint Eastwood watches his wife and children murdered in the first three minutes. The reason I kept thinking about it is because of how neatly and concisely the setup of that film set Clint off on a journey that was built on loss and rage, not just depression and disillusionment, but a quest for revenge. That aspect of darkness was something I felt was such an integral part of the Marvel legacy of this character. It’s easier to develop when a film is just about one character, rather than a team or a squad. You can really get inside Logan’s shoes. 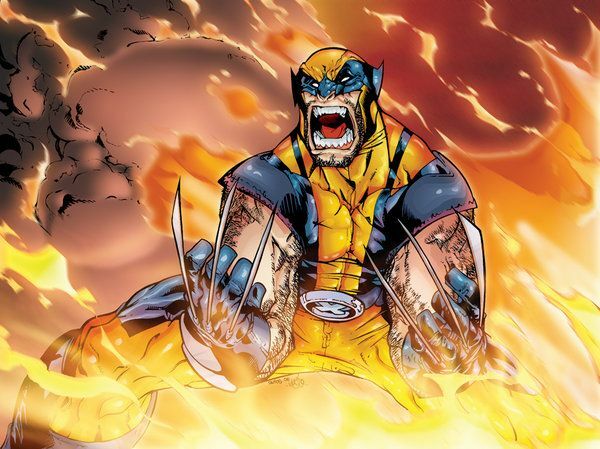 Q: How is the level of danger established for Wolverine considering his healing powers? Jackman: That’s a really good question because you’re always in danger with someone like Wolverine because he has his healing ability; unless you lop his head off, he’s going to come back at you. Actually, in this movie, he discovers his kryptonite. Mangold: Yeah, there’s the kryptonite metaphor you could make. We’re addressing that, meaning there is a challenge he faces that poses a challenge to him and makes it harder for him. I think that it’s something we don’t want to give away more about it now, but I think that we’re very conscious of that. There’s two aspects: one is what Hugh is alluding too, which is that some of the people Logan is up against might have found ways of getting to him that are different than we’ve seen before. But also, we’ve made a concerted effort to try and make the film more real, and to pull back a little on the super-duper abilities of Logan. He doesn’t bring down any airplanes. He’s grounded. I wanted the action in this film to feel physical and to feel possible for someone with his abilities. I think some of it is bringing it down to Earth in a way that is no less exciting, no less visually exciting, but less dependent on giant CG. Hugh, I have to say and me and the stunt team working on this picture, is, if not the most, than one of the most talented physical actors alive. He can jump into these fight sequences and the choreography, I think people are going to see, is amazing and physical and real, and he’s doing it. There are some long takes where there is some badass stuff going on. Jackman: The great thing that Jim talked about in the beginning and is a great thing to key in on is that, yes, he has claws and an adamantium skeleton and his healing ability. His ultimate weapon is his rage, his ultimate weapon is that thing in here. There are others that have stronger superpowers on paper, but who’s the person you least want to annoy? Wolverine. And that’s the thing that makes him badass, that’s the thing that makes him cool and that’s the thing we’re trying to key in on. Not this inflation of powers, not the healing ability, but really when it comes to it, it’s that berserker rage. Mangold: We don’t want to succumb to what’s been going on for years now, which is almost like an arms race of action movies, when they try and out-do the spectacle and it keeps growing until you reach a ceiling. Music can only get so loud and then you have to do something different, it can’t just be loud. In some way, what we’re trying to do, sure this is a tentpole movie and there’s outrageous action, but in the world of the Bourne films, or the Dark Knight films, films where it’s not necessarily as about blowing up planet Earth, but the physicality of the action is something I think people will find really gripping. Q: How did you intensify your training for this particular film? Jackman: I started earlier, I started a long way earlier. Jim and I have been on this movie for two years. The script was ready, I knew we had the time. For whatever reason, I never felt I had the proper preparation time, with this I had it. Mangold: You mean on past films? Jackman: On past films, on past X-Men films. So I had no excuse. So I started earlier. I’m not getting younger, so basically I started training harder, eating better. I’ll tell you, I rang my mate Dwayne Johnson and he gave me some great tips about eating, which I’m actually angry with him about. [Laughs] 6,000 calories a day. I’ve killed more chickens than I’d like. [Laughs] I’m really happy that finally I feel like, physically, what I see on film is how I saw it in my head. By the way, this is not a vanity thing, this isn’t about looking buff. It’s important that that rage inside is seen in his body, so it’s not enough for him to be buff like he’s gone to the gym; I wanted to see veins, I wanted him to be animalistic, I wanted not “pretty,” but frightening. Mangold: It’s like a raw nerve. The physicality that Hugh has worked so hard to embody, when we get back to talking about rage and the physicality of the character, nothing speaks louder than his silhouette in a scene with lightning in the sky and you see the cut of his body and you understand that this guy can tear you apart. Q: What sort of enemies does Wolverine face in this film? Mangold: Yakuza, industrialists, politicians, women of varying degrees of “what are they? Who are they? Can I trust them?” It’s a labyrinth. I think that one of the things we’re trying to do in this picture, there’s an array…other mutants…there’s an array of people he will come in contact with, both good, bad and a question mark. I think part of the energy of the film…most superhero movies are eminently clear about who the “bad guy” is at the beginning and who the heroes have to battle to save this plot of land or group of people from the bad guys. This is a film where it is much more of a mystery or a labyrinth. Who can I trust? Where can I trust? It’s part of what makes it so interesting that Logan enters the story trusting no one, because he then has to come through this array of people he meets in Japan of good, bad and indifferent. Jackman: I don’t want this to sound cheesy, but I think also, himself. More than ever we’ve explored this war within himself, which is so endemic, which is why people love the character. In this movie, we explore his immortality, the burden of that. At the beginning of this movie, he’s finding it tough to find a reason to live. That essential battle goes with him throughout the movie and is one of the really important things. Jackman: I remember our first conversation, actually, you said to me, “Enough with the, ‘I can’t remember what happened to me…what was my past? Who am I?’” We’ve explored it enough. It’s more like the future, how do I live with myself? How do I live with whatever knowledge I have and whatever’s happened. By this point, there is enough knowledge…I thought that was such a fresh perspective and more interesting for people to follow as a storyline. Q: Which Wolverine comics are your personal favorites? Mangold: I actually love this saga. When I was in this world of collecting, it was the one that landed, both from a visceral level…I loved the artwork, the Japanese aesthetic with the Wolverine aesthetic. I loved the aspect that it was character based. I loved the whole saga and the whole world, but it was a tremendous opportunity when this came up because it was always a series I really responded to. Jackman: Same with me. It’s my favorite series on the Japanese samurai saga. But I also love Weapon X, he’s just classic. I love it. Still would love to see that scene where his hair grows back and the technicians are like, “Look at his hair. My God! It’s growing back!” That’s the one bit I still want to see. Q: What is your favorite prop from the set and do you get to keep any? Mangold: Well, the swords…within the context of the Japanese world of it all, there are some really…when you see the movie and you see close-ups of these swords, they’re incredible. The way the steel is manipulated…Japanese blades are beyond beautiful and they’re made in this process of folding that produces almost like woodgrain in the steel. They’re exquisite. The armorer and the weapons and props are amazing. The bone claws always make me smile. They’re just something that is primal and primeval and speak to me about who Wolvie is at his base and what he came from. 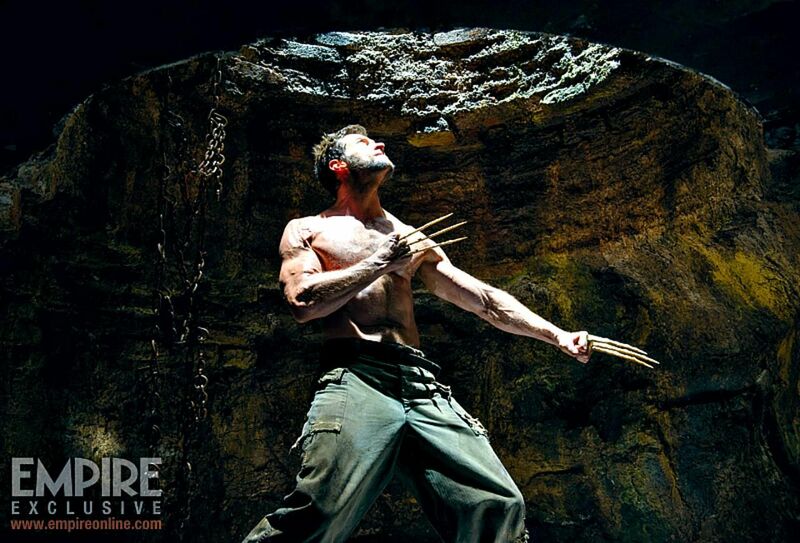 Jackman: Of course, I’ve got a set of claws. I’ve actually got a few of those stashed away. [Laughs] I’ve actually been a fan of Japanese samurai armor for a long time…I find the Japanese armor to be so beautiful. Q: If you could sum up the movie in a couple of sentences, how would you describe it? Jackman: Go to the title. The title gives you a big clue about this movie. If you’ve ever liked the character of Wolverine, of Logan, this is the movie for you. It’s called The Wolverine. Mangold: It’s 100%, undiluted Wolverine. Jackman: You’re going to see every side to him. There’s going to be some surprises in there too. I just might want to add to that, having gone through it for 12 weeks and having played this role for 10 years, action-wise, this is going to be the most action-packed and new and exciting than there’s ever been before. Q: When can we see The Wolverine in theaters? Mangold: The 26th of July, 2013, day and date around the world. And in the road to that, there will be trailers and things coming out to whet your appetite.